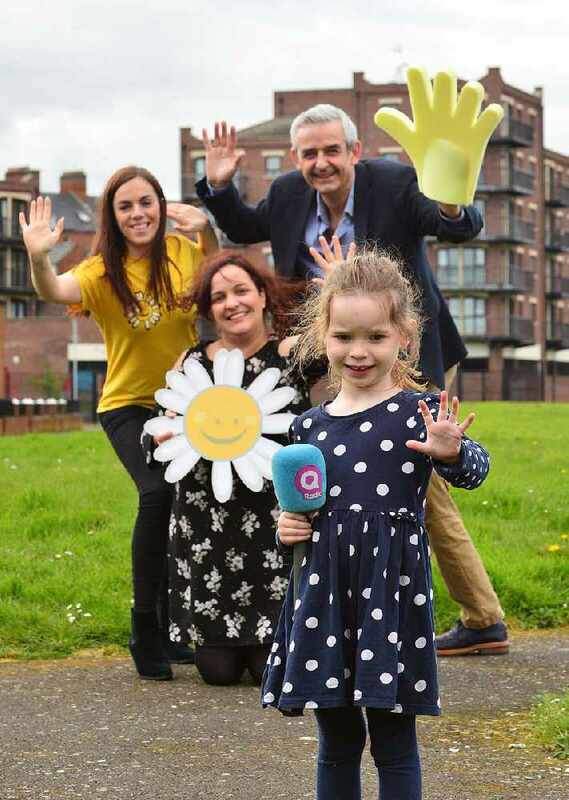 On Friday 28th April, we are asking you to ‘Gimme 5’, to help support families whose lives have been devastated by cancer these families, so they don’t have to face it alone. Q Radio are working alongside Cancer Fund for Children, to encourage you to sign up and give just £5 a month to help support their work in providing a range of practical, emotional and financial support to families affected by cancer. We want you to dig deep and sign up to give a regular donation to Cancer Fund for Children. Your regular donations could make a huge difference to families who need support. A child or teenager living with cancer with one-to-one support with a Cancer Fund for Children Specialist. A teenager affected by cancer with the opportunity to share experiences with other young people at Cancer Fund for Children’s residential centre. A family whose lives have been devastated by a cancer with a short break at Cancer Fund for Children’s therapeutic short break centre. A parent heat their home whilst their child’s immune system is suppressed during their cancer treatment. Bereavement support to a family who have lost a child to cancer. 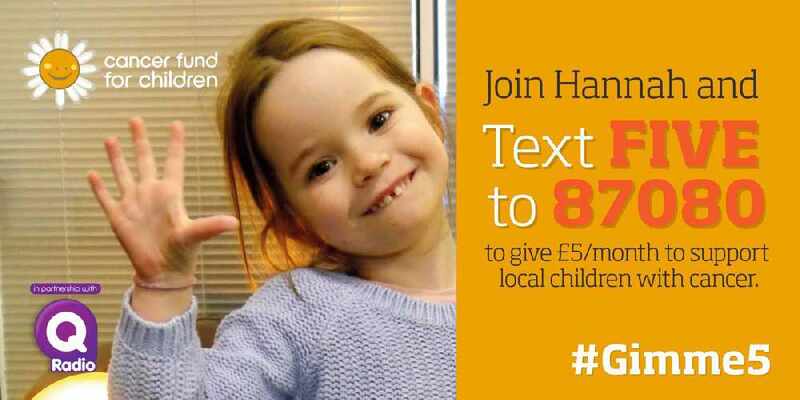 To support local families affected by cancer now, visit here Or text FIVE to 87080 to sign up to donate £5 a month.